Whatever your views on the current Brexit-related constitutional crisis, there’s no doubt that it will be looked back on in the future as a momentous time in the country’s history. The Museum of London wants to capture this moment. 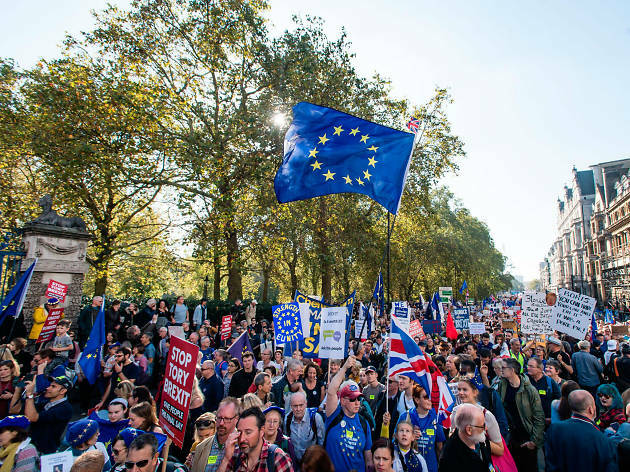 But rather than relying on official coverage or retrospectively trawling a million-billion impassioned tweets, it’s heading into the field to gather views, stories and physical objects related to Brexit. It’s doing this through every politico’s favourite campaigning tool: a bus. 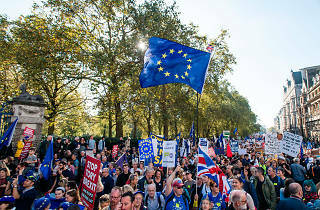 The MoL’s ‘Brexit Talks’ bus will be visiting four Greater London locations this week and next week: Stratford, Hackney Wick, Bromley (the borough, not by-Bow) and Brunel University in Hillingdon. The aim is to get locals to come along and share their views, stories and more to create an oral history of how the crisis is affecting people’s relationship with London – first-hand and unmediated. If you can’t make it, you can upload a video to the online archive. The material it collects will form part of the museum’s ongoing ‘Curating London’ project, so we (and future generations) can all enjoy and relive this moment FOR EVER. So whether you plan to stay on grimly to the last stop, can’t wait to get off, or are praying that its destination might still change, hop aboard the Brexit bus! Brunel University (Tue Mar 26, noon-4pm).